Instagram has somewhere taken over the entire range of social media and this is why people want to discover a lot of aspects about it. The most common question that people usually ask is who unfollowed me on Instagram and it is kind of trickier to find its answer too. The only thing I didn’t like about Instagram is its lake of informing users about the increase or decrease in their number of followers. If your account is private, you are informed about the people who want to follow you but not the ones who unfollowed you. And this is why you need a better solution of this issue. Below, I listed possible ways to figure out who unfollowed you on Instagram. These ways will not only help to know who recently unfollowed you while you can manage lot of other Instgram account activites also like scheduling posts, new followers tracking, secret admirers, public shout outs and much more. If you are someone who is not that active on Instagram then you can manually figure out that who unfollowed you. The idea behind it is pretty simple. To figure out that who unfollowed you on Instagram, all you have to do is check the people who follows you in the followers section and you can make out that who unfollowed you recently. However, this does not seem to be a great idea especially if you can’t keep a track on your followers. And hence you can go the smarter digital way for it. If you are tired of handling a popular Instagram account with thousands of followers then you totally need to go the digital way. This is totally impossible to determine that who unfollowed me on Instagram when you are having a public account and so many followers. In fact, the same applies to other Instagram activities too. I hope the below-mentioned apps will keep you up to date with all the happenings. Here are the 10 amazing applications for Android and iOS users which are quite like a personal Instagram manager. This is the time that you should take full access of the technology and this is only possible when you will start using these amazing apps for it. They are absolutely free to download and provide a lot of tools to keep every Instagram activity of yours under check. 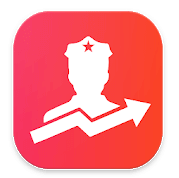 Follow Cop is an app which makes it way to the top of the list of those apps which tells you who unfollowed you on Instagram. However, this is not the only thing this app is supposed to do because they are way smarter and diverse than this. This Instagram management app is specially made for Android users only and this stunning app is all about simple usage yet advanced features. The interface is modern yet easy to access but there are certain features for which you would have to go Pro in the app which of course is not free. So, some of the things this app lets you know are about people who don’t follow you back on Instagram, recent unfollowers, multiple account support, fans, global shout out and many more. Moreover, there is more to this app than only these things along with the filter which determines fake followers of your account. Crowdfire is an app that every popular social media influencer swear by. This is different from the other apps who tell you about who unfollowed my Instagram account and do something way more than that. This is quite like hiring a social media manager of your own. What you are going to like the most is that Crowdfire is not restricted to Instagram only and hence you can manage your Facebook, Twitter, Pinterest, YouTube, LinkedIn, Etsy, WordPress and many more other types of social media accounts through it. Talking about Instagram only then apart from getting insights of your followers and unfollowers count, you can also manage your posts through it too. You can schedule posts, automatic sharing, one post for all the profiles, content sharing and much more. Crowdfire is undoubtedly the best way to know about who unfollowed me on Instagram and of course with the most accurate and fast information ever. For small businesses and people who wants to increase their social media presence, it is important that they keep a track on insights of their social media account especially Instagram. 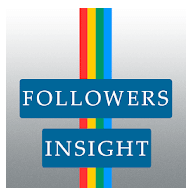 This app called Followers Insight for Instagram is going to help you for the same. This followers and unfollowers tracker is all about keeping up with your Instagram account and activities related to it and then help you to act accordingly. Some of the features which you will absolutely love are use engagement pattern, growth trends, best content to post, effective publishing timings, fast and simple interface, multiple Instagram account handling, much deeper insights and a lot of related information. Somewhere this is not enough to know that who unfollowed me on Instagram, if you want to maintain a healthy social media presence, you would have to keep up with a lot of stuff and this app is here for it. With the heavy heart, I would have to tell you people that this app is for iOS users only. Well, thankfully there are other apps available for Android users to answer that who unfollowed me on Instagram. Anyway, talking about this app, then it is a total badass. This app is not only powerful and filled with so many features but also quite fast and accurate too. It runs an analytical scan on your Instagram account and provides you plenty of details related to it. So, if you are wondering that who unfollowed me on Instagram plus so many queries like these, you know which app to look forward to. Some of the features of this app are new followers tracking, unfollowers tracking, non-followers tracking and many more related information. However, the app is strictly restricted to analysis only and you cannot use it for gaining publicity or purchasing likes and followers. The next pick to determine that who unfollowed me on Instagram is Followers Tool for Instagram. 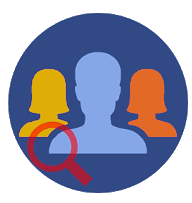 Their primary feature is about multiple accounts managing which clearly means that they have a lot of interesting stuff to offer to their users. Although only the basic features come for free and you would have to opt for some paid subscription plan in order to access all the features of the app. The interface is pretty simple and straightforward where all the features and options are mentioned clearly. 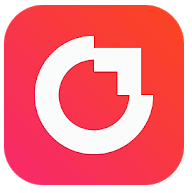 Moreover, other features of this app are new followers tracking, showing fans, unfollowers, mutual friends, total posts and trends related to it, liked and trends and many more. This clearly shows that how deep insights you can receive with the help of Followers Tool for Instagram and it even provides media analysis too. FollowMeter for Instagram is an app which not only tells you about who unfollowed on Instagram but also about various other aspects related to it too. This is by far the simplest way to manage your Instagram account as well as followers too. The powerful analysis offers deep insights and you can also keep an eye on your growth which gives you better tips on managing your Instagram account. There are of course some in-app purchases available too which are made for better features. 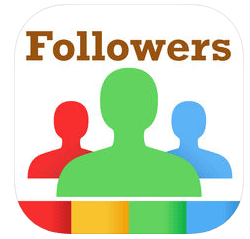 To name a few, some of the features of this app are recent follower and unfollowers, ghost followers information, secret admirers, non-followers, public shout outs and much more. 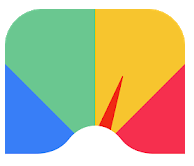 The timely development made in the app keeps you updated with all the new features added and this is why FollowMeter is one of the most trusted Instagram manager and analyzer. 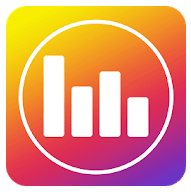 Followers & Unfollowers Analytics for Instagram app is all about tracking your current activities related to your followers on Instagram and that too like a pro. In fact, this is as simple as just one click to determine everything about your Instagram activities. In fact, it even tells you about ghost followers or fake followers too. However, some of the features can only be accessed through the in-app purchases. 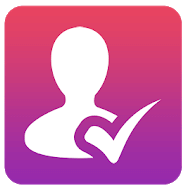 Moreover, there are some features of this app which you should know about and these are complete analysis of new and old followers, analysis of Instagram posts, unfollowers, Insta report on your audience and many more. The stats are arranged in a very systematic way so you do not get confused about its layout at all. Reports + provides a deep analysis of your Instagram account. What I liked about this application is that no matter how busy your Instagram account is, it functions quite accurate all the time. And despite being fully loaded with amazing features, it functions quite fast. I am 100% sure that Reports + is capable of answering your question of who unfollowed me on Instagram and something more than that too. In fact, apart from determining your unfollowers, it also tells you about the people who have blocked you, your fans whom you don’t follow back, post-performance, engagement on your Instagram account, your engagement with your followers and much more. If you are not satisfied with these many features and wants more, you can subscribe to their Reports + Premium service which offers a subscription of $3.99 per month and other plans too. We have one more Instagram unfollow checker for you and it is known as Iconosquare. Although it is not as popular as rest of the apps here but still going to give you enough information and analysis of your Instagram account and that too in details. I really liked the fact that how much accomplished app is Iconosquare as it offers a very detailed insight of your Instagram account including the scheduling of your posts too. Moreover, it is not just restricted to answering who unfollowed me on Instagram but to more other queries too. Some of the features of this app are multiple account management, post scheduling, followers tracking (gain or loss) etc. However, the only issue you are going to face is that this app is not free to use. Once the free trial ends, you would have to opt for the subscription. My final pick is Profile Analyzer for Instagram. So, of course as the name says, the functioning of this app is not restricted to keeping a track of your followers but of your entire profile. In fact, it is by far one of the best Instagram profile analyzer that we have but for now it is available for android users only. 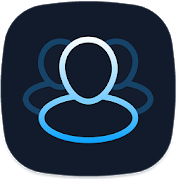 Talking about some of the features of this app then these are determining ghost followers, multiple account handling, fans, safe login, customization options, no hourly limits on the usage of the app and much more. It also offers a premium plan under which you can promote your account which will be visible to 200k+ users on Instagram. There are also some features which comes under the paid premium subscription only. So, finally you have the perfect options by your side to keep you updated with all your Instagram activities. These apps are great solution for celebs and for people who are trying to take their Instagram account one notch higher. Every application mentioned here functions in different way but altogether they are meant for presenting the stats related to your Instagram account only. In fact, some of them allows you to keep an eye on more than one Instagram handle which is pretty cool. I am really sure that now you won’t have to ask that who unfollowed me on Instagram. You have come with a great topic. Really, it is hard to find people who unfollow you on Instagram when you have a huge number of followers on it. But, here great to know about the apps to check these Instagram related issues. I will try one of the apps from the list. The provided links help to access these apps easily. Happy to read about the point “Who unfollowed me on Instagram”. Nice one! Your list is really helpful for any newbie. Backlink building is the number one method to drive traffic and increase the authority of a site. Thank you for sharing your awesome list.